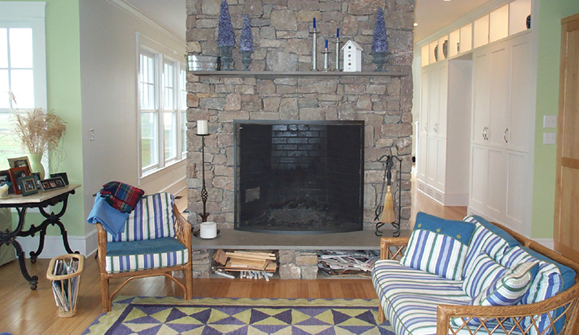 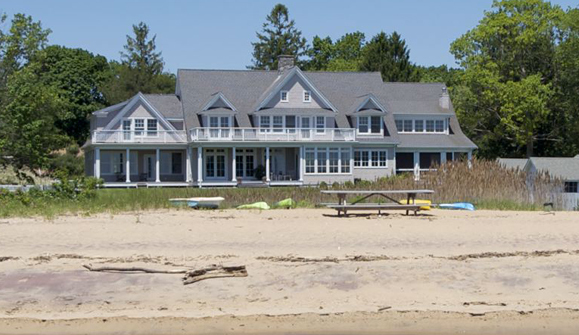 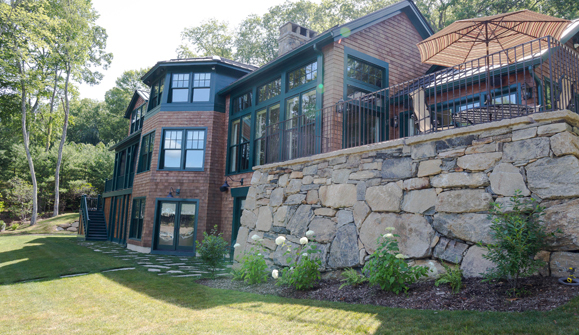 The Clients’ desire for a unique home that blends the feel of a lake house with the inventive shingle style seen along the shoreline was the inspiration for this design. 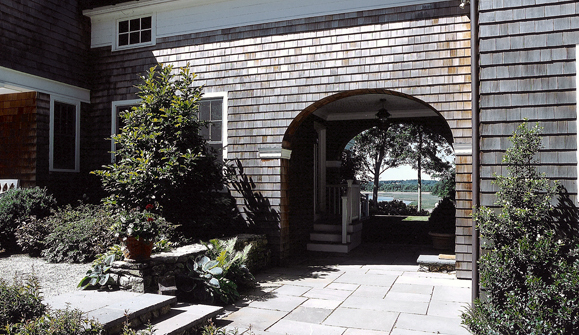 The site slopes dramatically to the water which allowed for an intimate scale at the front entry courtyard and lower level rooms that open toward the water. 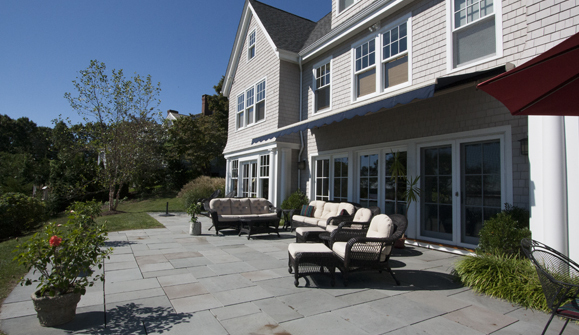 The main floor spaces of the house flow into one another and are integrated with an exterior raised stone patio and a large screened porch. 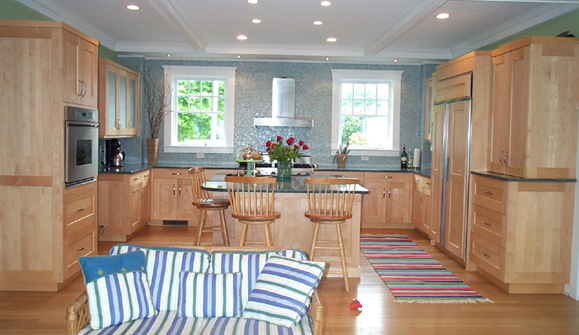 The house is also extraordinarily energy efficient and includes a geothermal heating and cooling system. 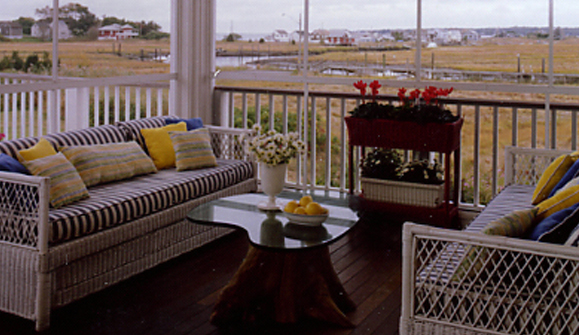 Respecting the natural setting and embracing the sweeping views of a salt marsh and barrier islands beyond, were the starting point for this design. 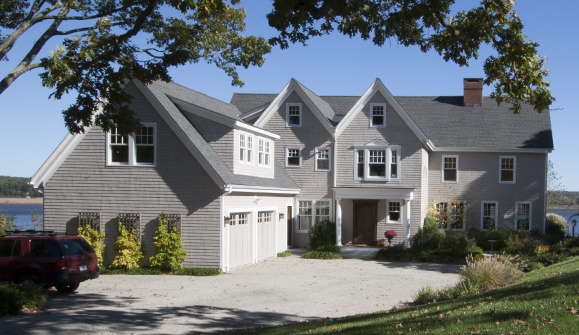 The style and forms of this 7,000 square foot house were based on nearby circa 1900 grand summer homes. 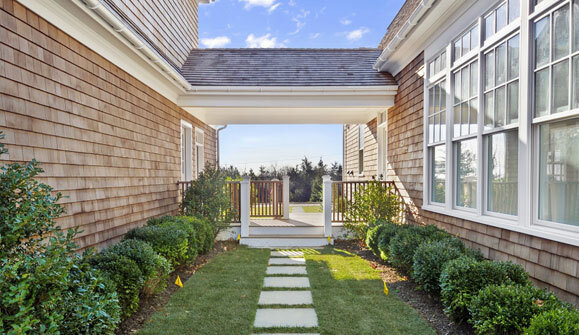 The serpentine drive enhances privacy and the sense of arrival into the entrance courtyard. 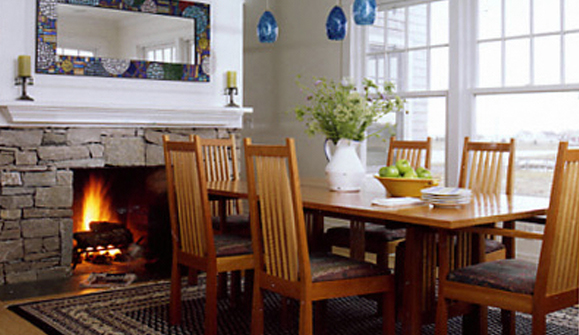 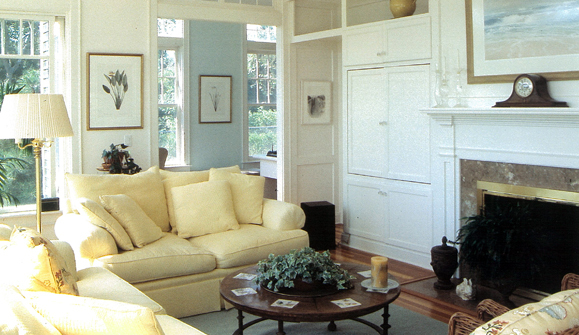 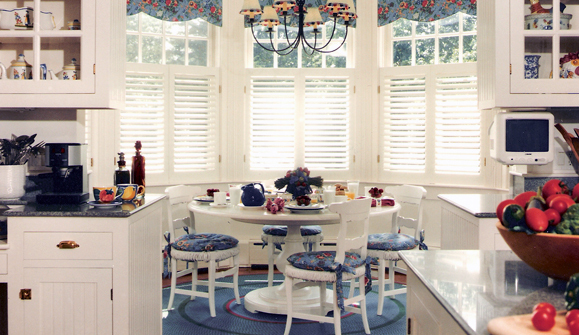 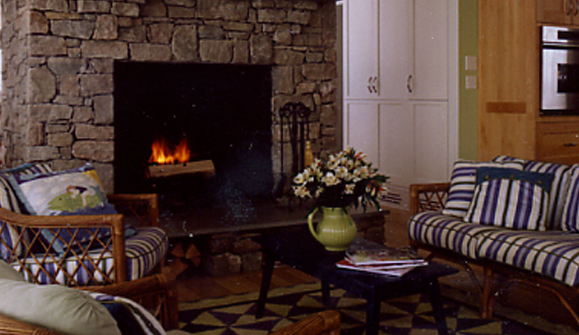 While the rooms themselves are formal, the house is open, gracious and welcoming. 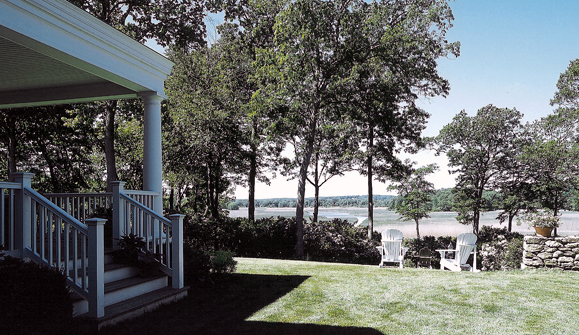 This 5,200 square foot house sits above a quiet section of the Connecticut River. 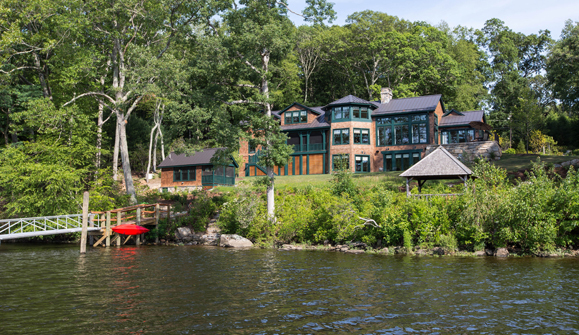 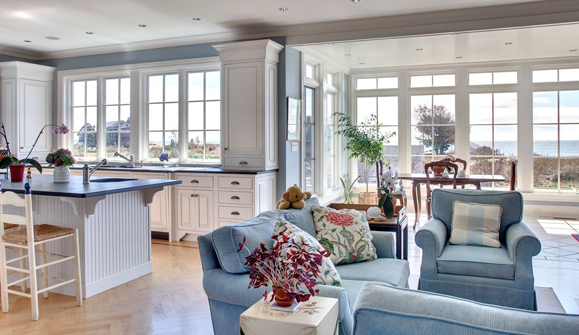 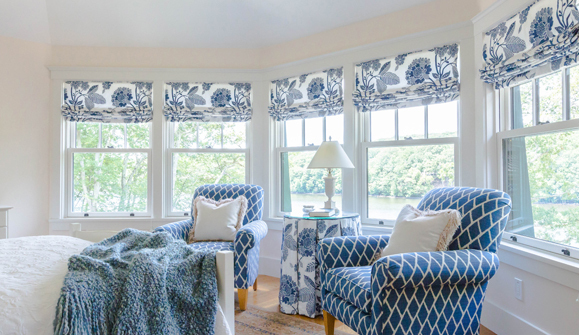 In the five bedroom home, the scale and relationship to the landscape and older riverfront homes inspired the design where every room has a view of the water. 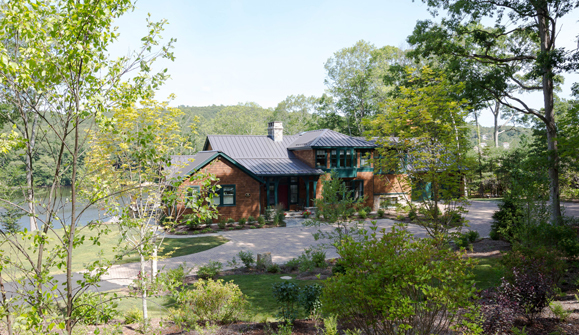 From the river, the house is nestled within large oak trees evoking a natural connection to the land. 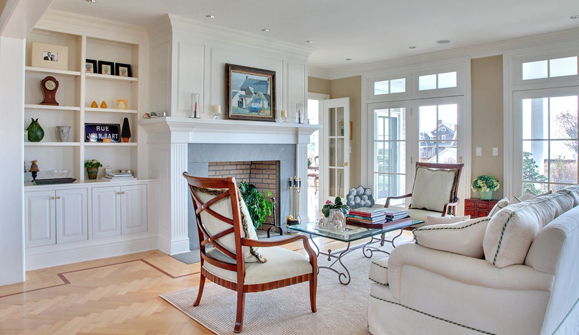 There is an emphasis on comfort and openness but with a touch of formality. 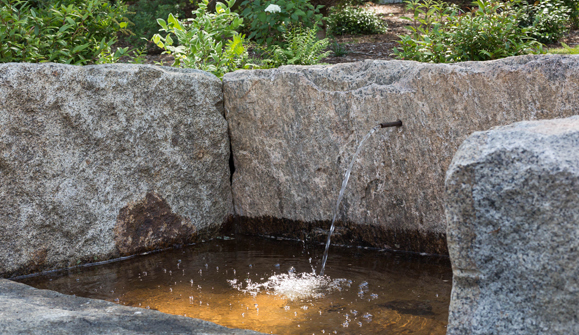 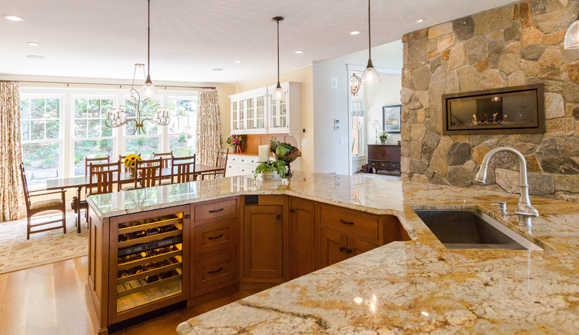 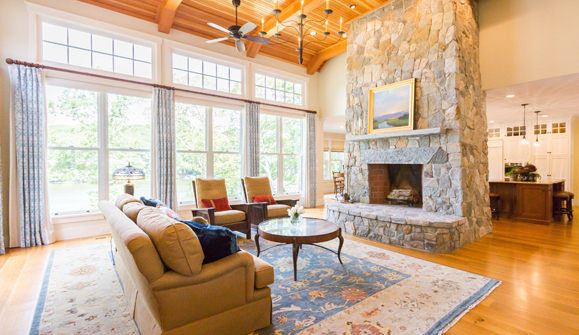 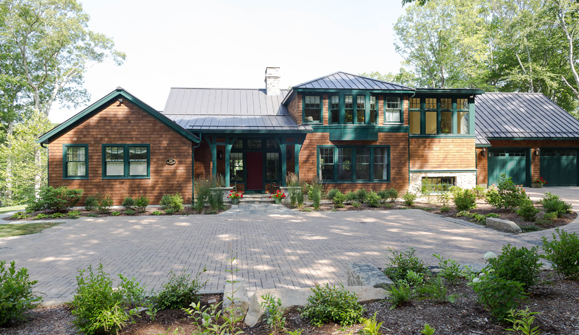 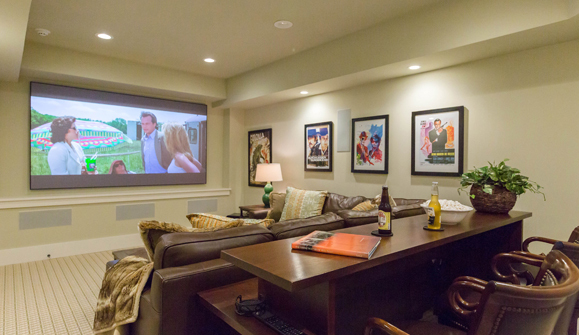 The house is heated and cooled by an innovative geoexchange hybrid system. 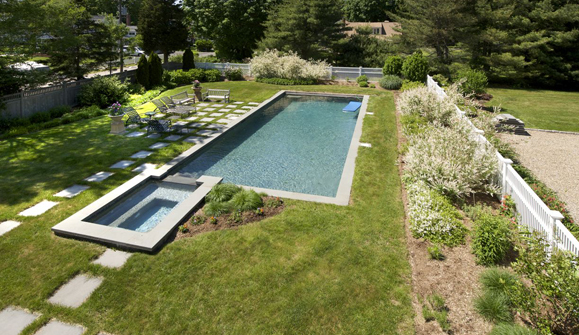 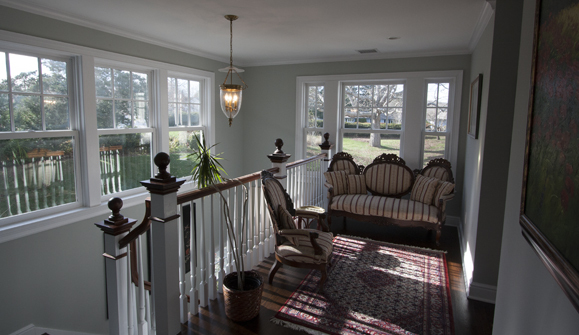 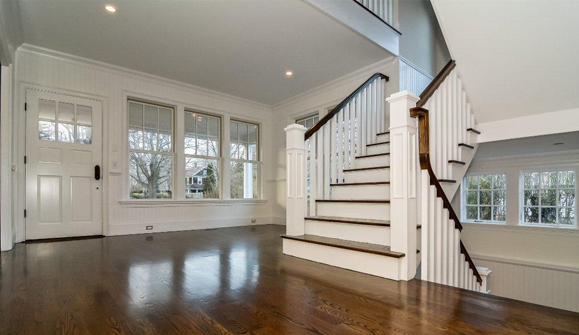 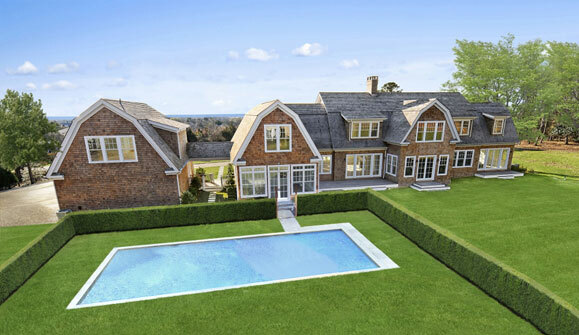 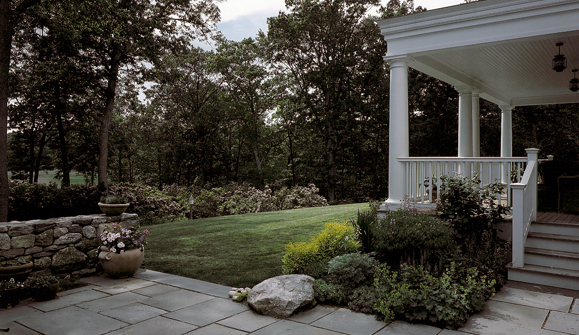 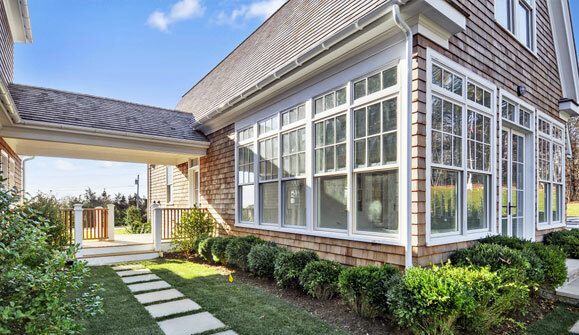 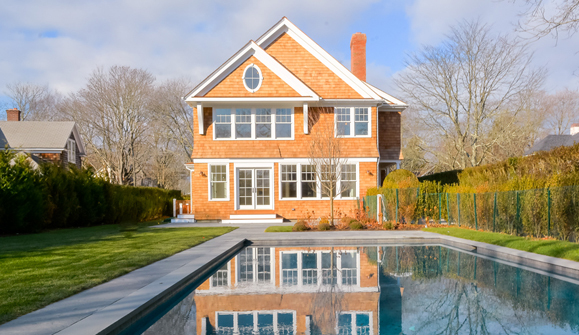 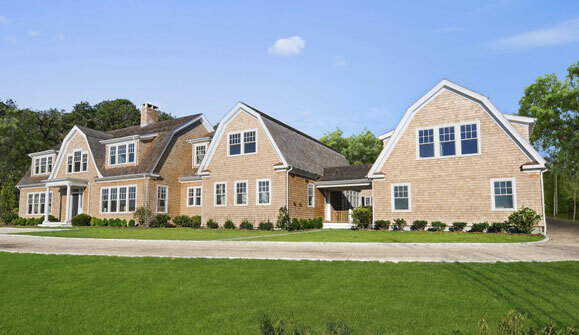 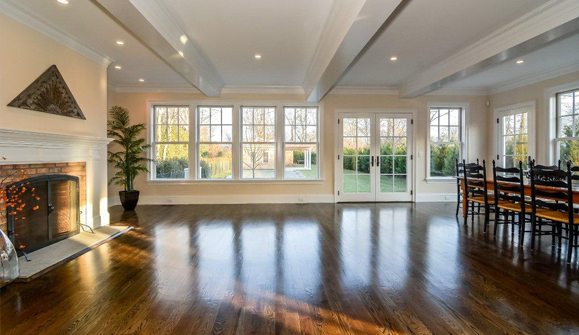 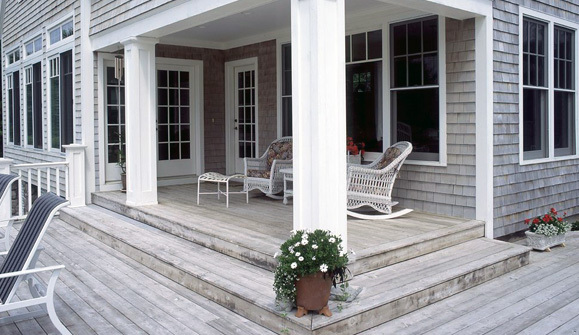 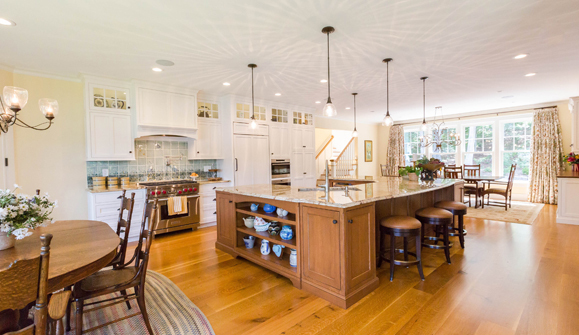 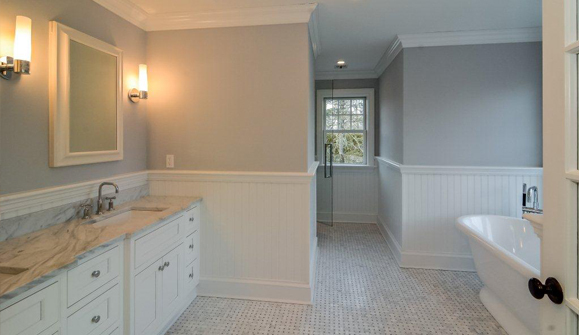 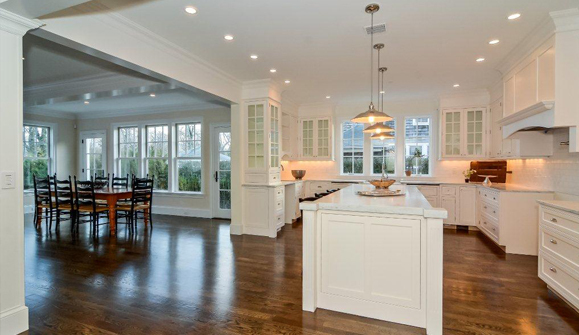 This new home is located on indirect waterfront, thus the sweeping lawn down toward Long Island Sound. 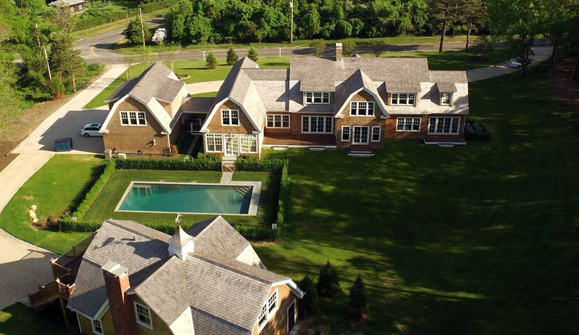 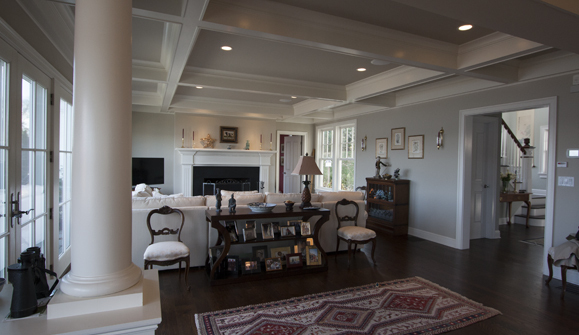 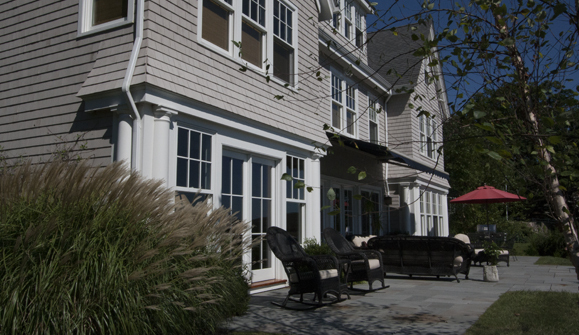 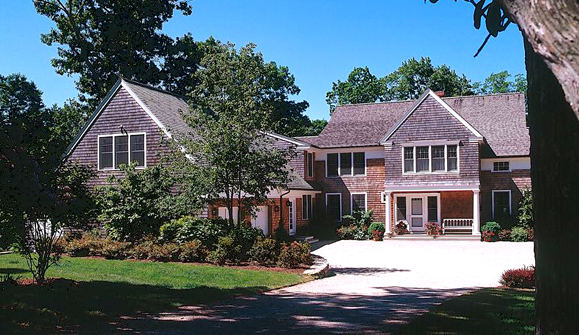 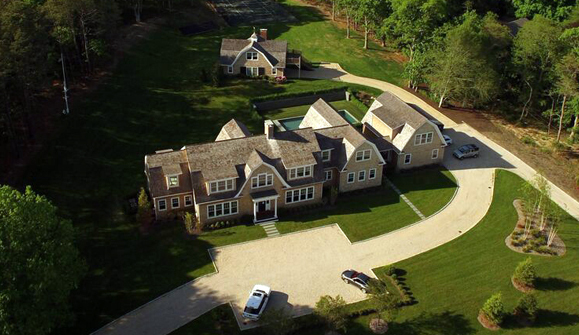 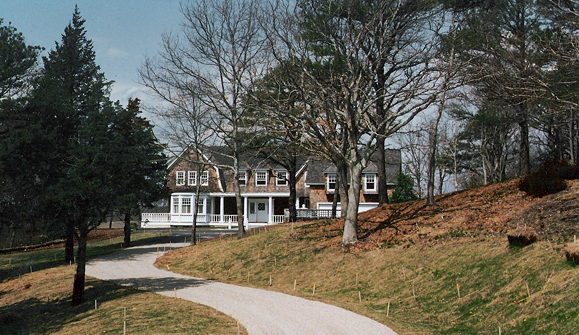 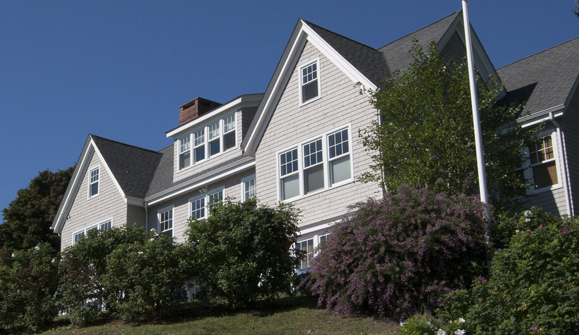 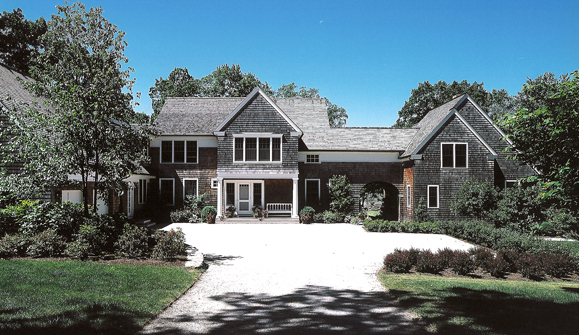 Flood zone restrictions and zoning ordinances were honored to create this 5,000 square foot shingle style home. 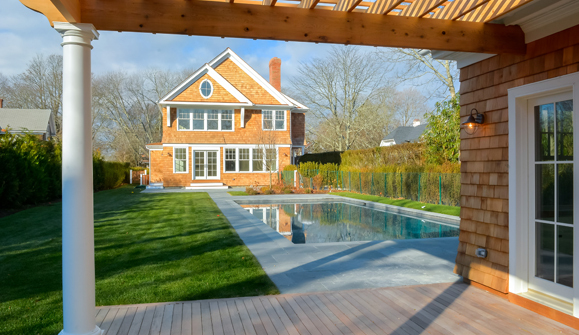 It features an open ground floor plan, including a master suite with direct access to the pool and to a water side porch. 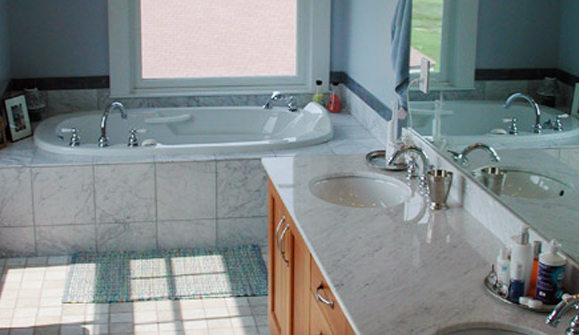 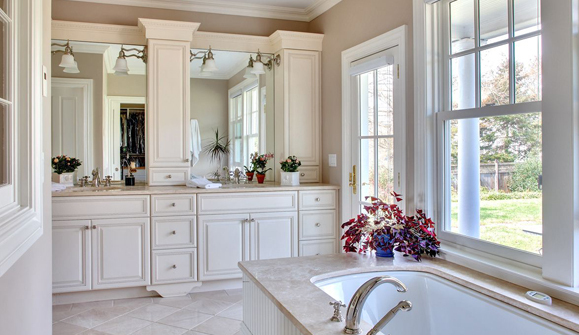 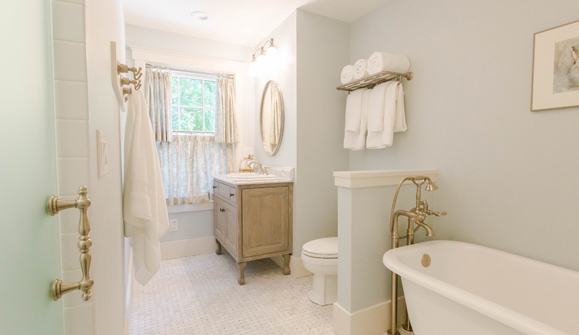 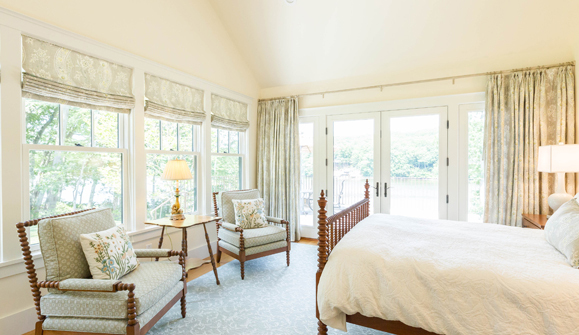 Each of the second floor bedrooms has its own private bath and water views. 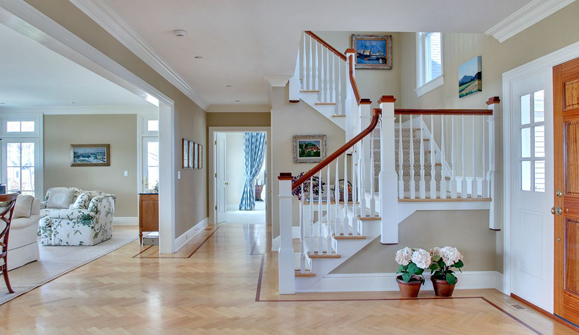 The property is on a classic tree lined American street. 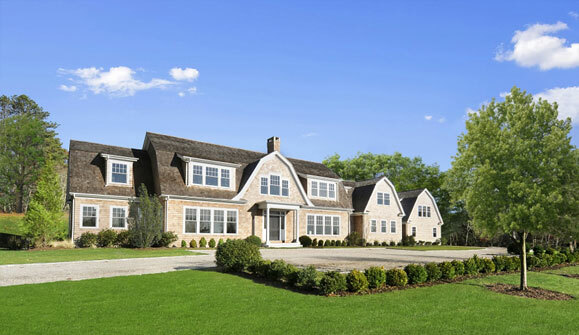 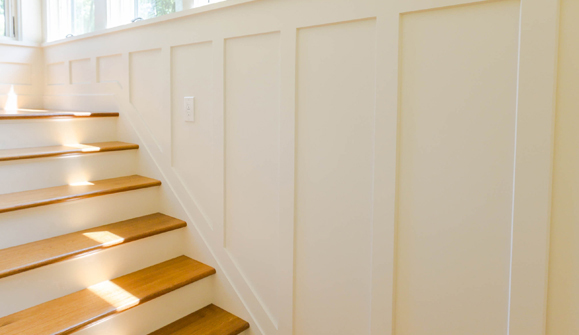 The design is for a developer who wanted a very traditional exterior and the house is just shy of 6,000 square feet including a fully fitted basement. 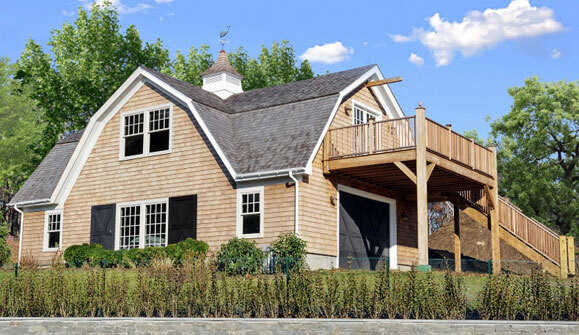 The lot is narrow and deep and there is very restrictive zoning and architectural review. 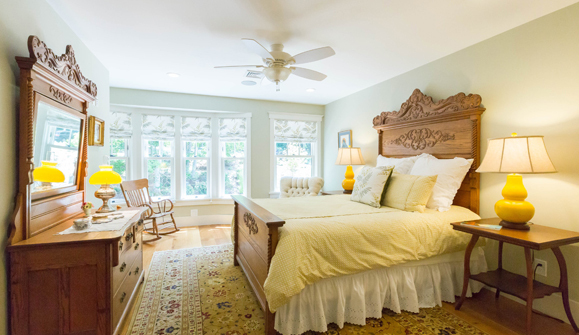 There are six bedrooms with an open, light filled ground floor plan. 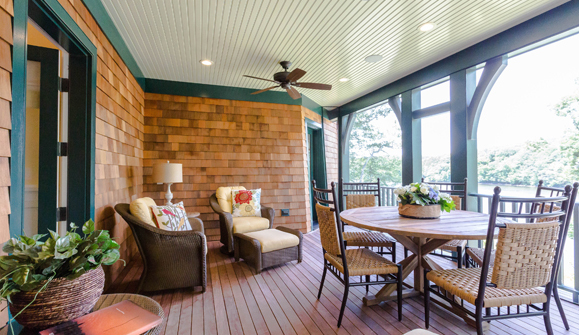 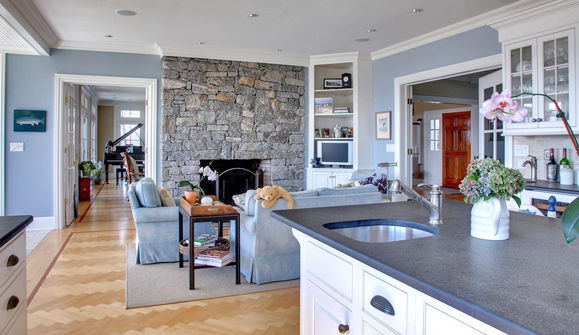 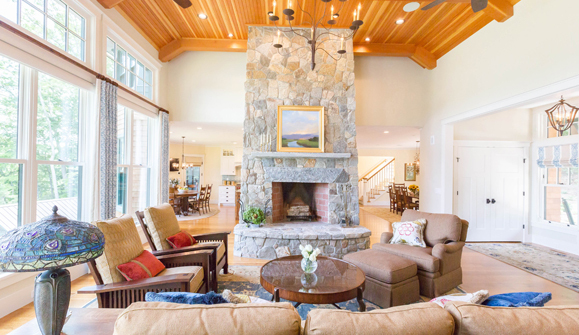 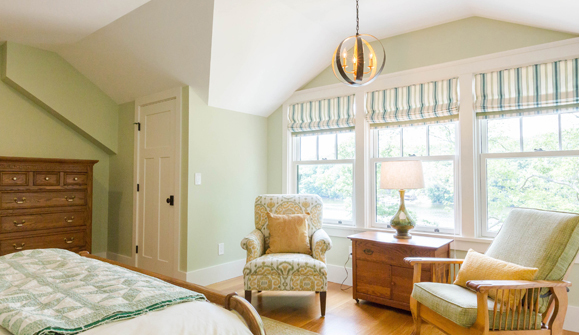 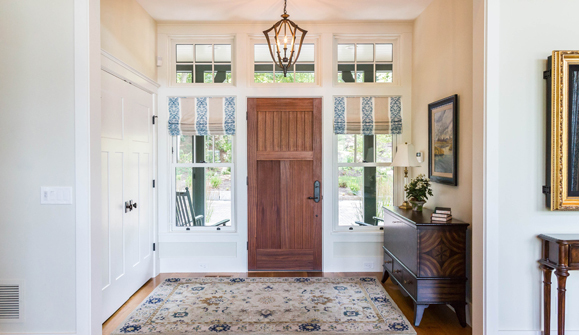 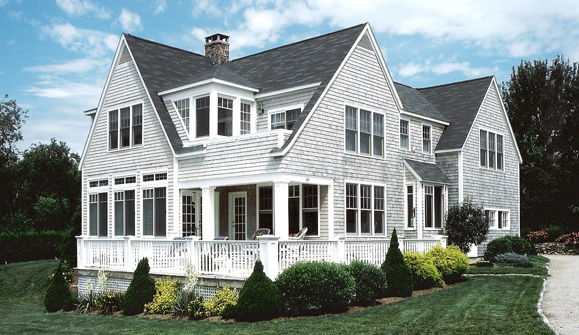 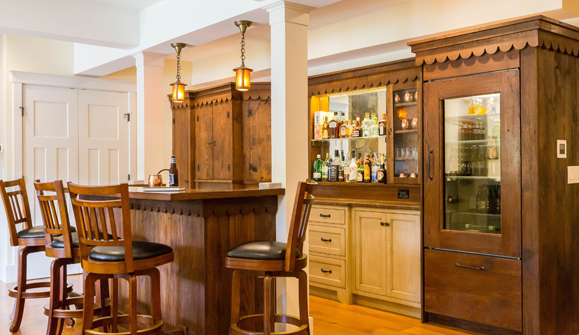 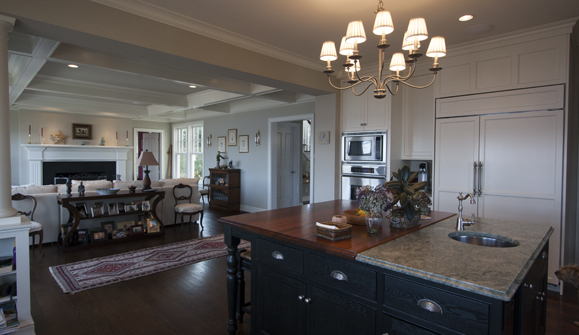 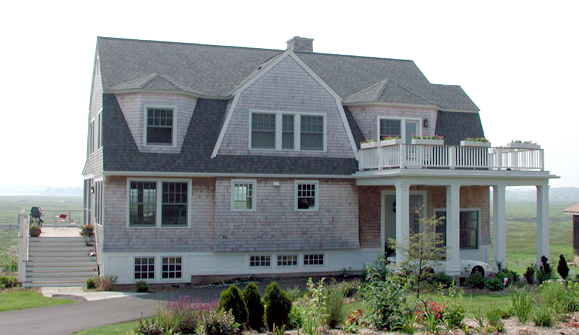 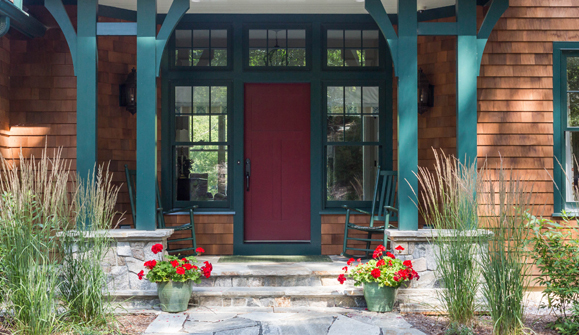 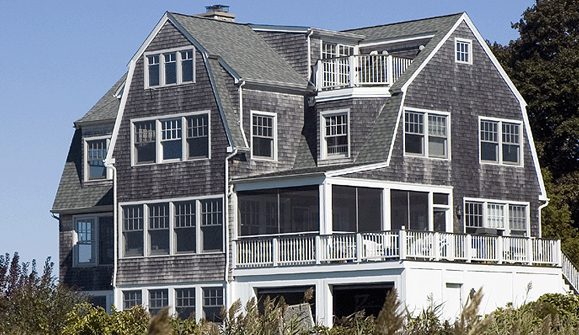 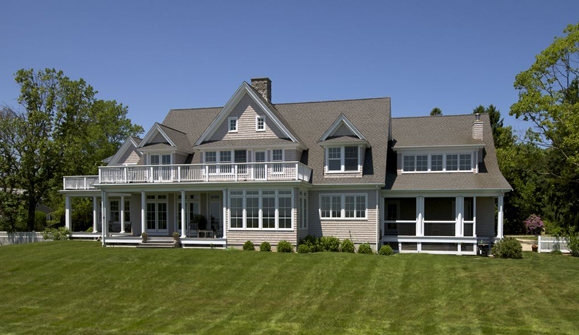 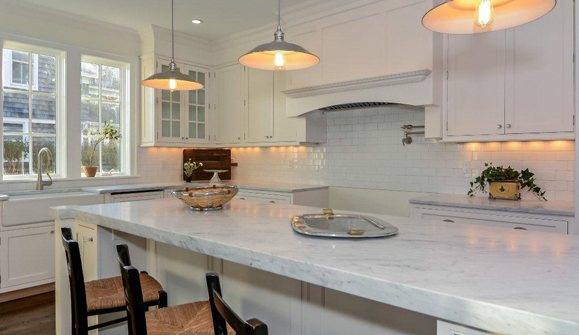 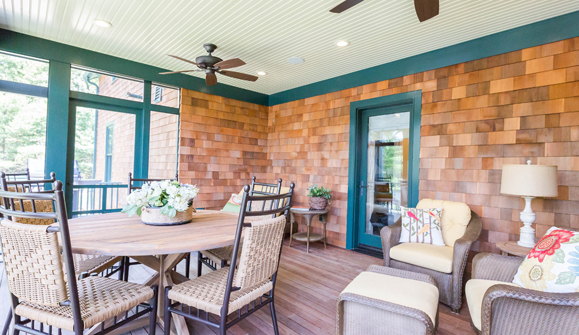 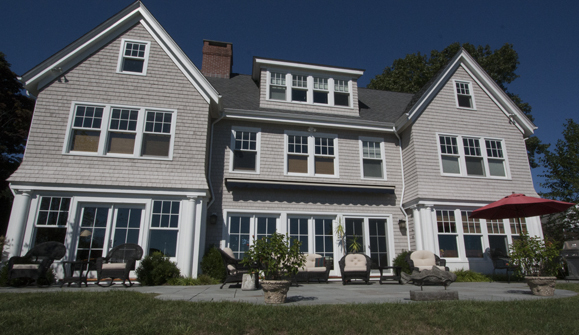 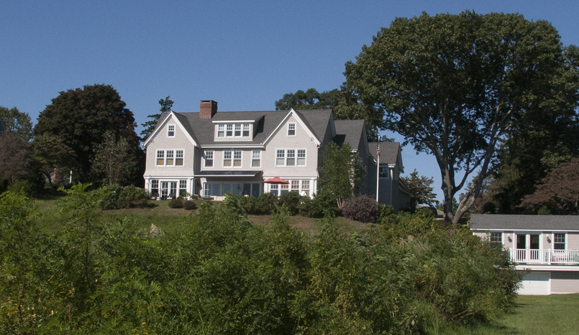 This new 4,400 square foot home overlooking the Neck River is designed with a traditional gambrel exterior. 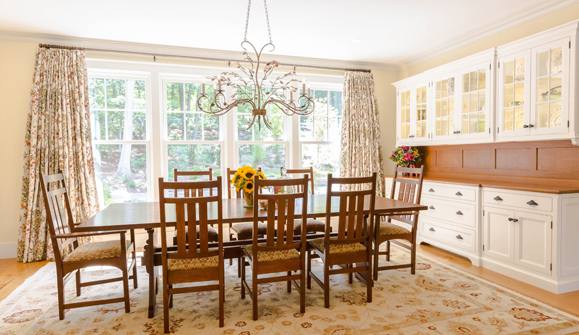 The interiors are open and have contemporary elements with an emphasis on the flow of family life. 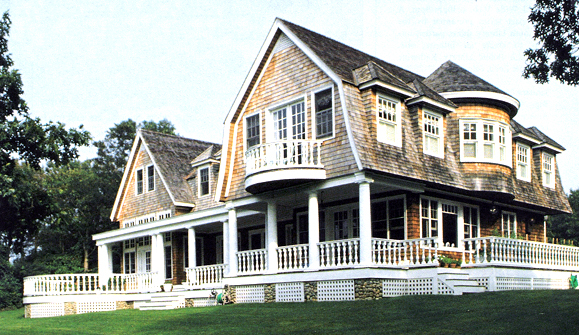 The design was constrained by a flood zone and restrictive zoning. 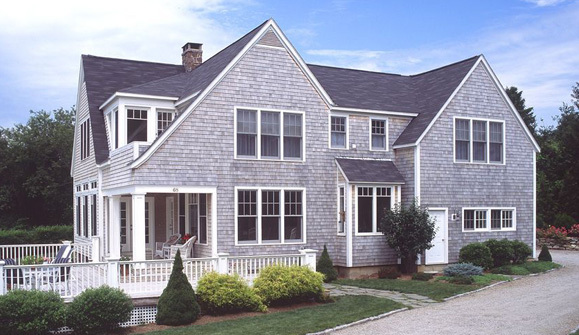 The rooflines and general detailing help the house meet those requirements and fit into the neighborhood. 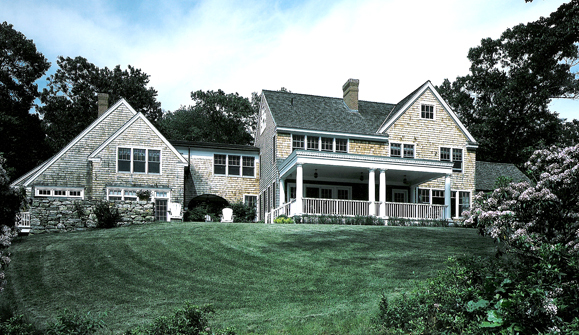 The house is heated with geothermal/geoexchange heating and cooling and solar panels. 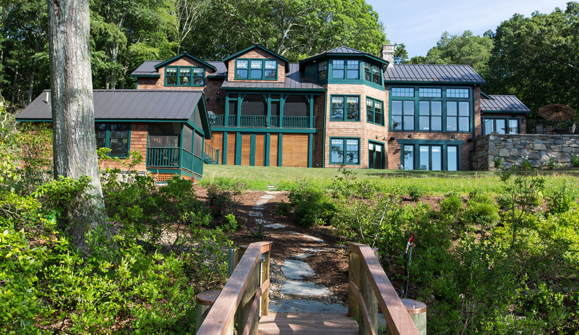 This new home above a Connecticut River marshland emphasizes a quiet demeanor. 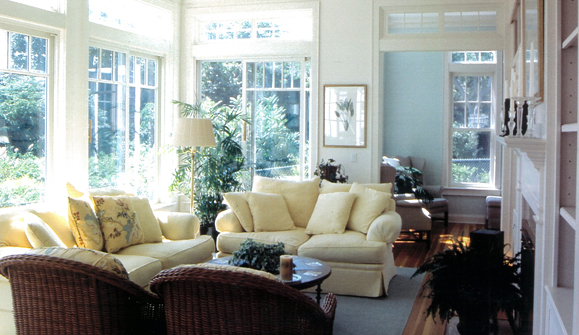 Public and private areas of the house are separated by an arched walkway and the floor plans organize around a sense of discovery and arrival. 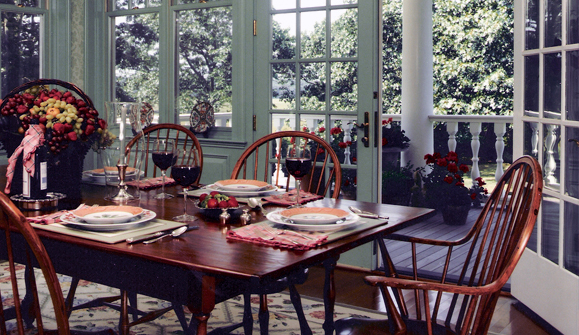 One gets a hint of what is beyond but never sees the next room or the gardens unless invited in. 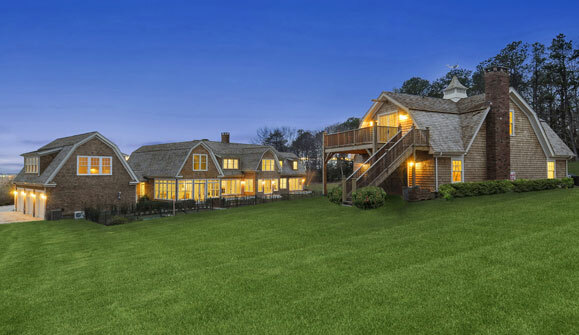 This large shingled gambrel style home sits on a gently sloping 5.8 acre site with treetop views of Southampton Village and the open Atlantic Ocean beyond. 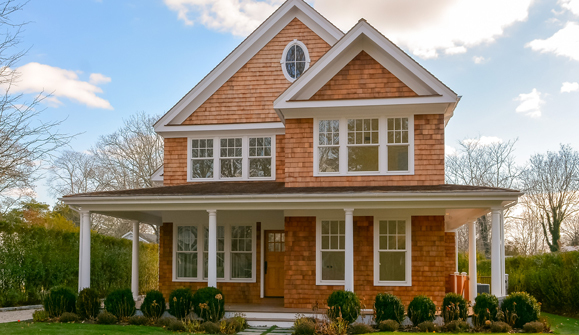 Designed for a developer, there are seven bedrooms with an open, light-filled ground floor plan. 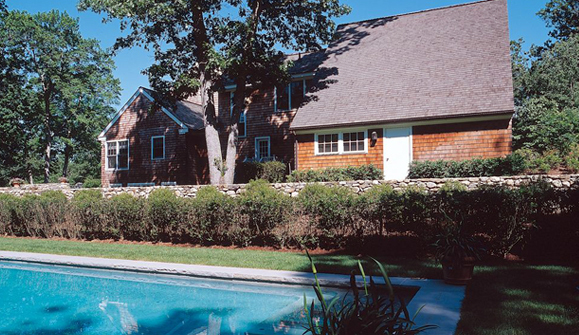 The property includes a pool, a tennis court, an attached three car garage and a barn. 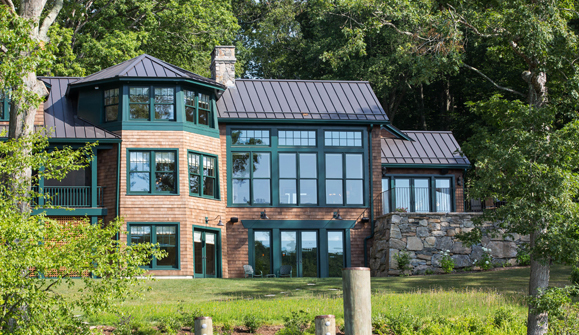 Energy considerations were a priority and high efficiency heating and cooling is supplemented by a ground mounted solar panel array.